Four fires broke out on SDSU's campus in three days under what university police called "suspicious circumstances"
A former San Diego State University student now faces multiple counts of arson after being accused of setting multiple fires at her old school over the course of three days. Madelyn Delarosa, 19, faces charges of arson of an inhabited structure, two counts of arson to property, and possession of arson materials, according to the University Police Department (UPD). She was arrested Saturday for allegedly starting four different fires from Thursday to Saturday around SDSU’s campus. On Thursday at around 11 a.m., university police spotted a car parked on Hardy Avenue that was on fire. Shortly after, an apartment building, located on the same street, had its exterior door catch fire. San Diego Fire-Rescue and San Diego Metro Arson Strike Team (MAST) assisted in these fires and were asked to investigate the scene due to the “suspicious circumstances” of the fires, UPD said. On Friday at around 8:30 a.m., a fire broke out in an apartment building on Montezuma Road -- just hundreds of feet from the fires the day before, according to UPD. On Saturday at around 8:10 a.m., UPD said another car was set on fire, but this time it was located inside an apartment complex’s parking garage, called the Granada. These apartments, though also located on Hardy Avenue, were different from Thursday’s fire. 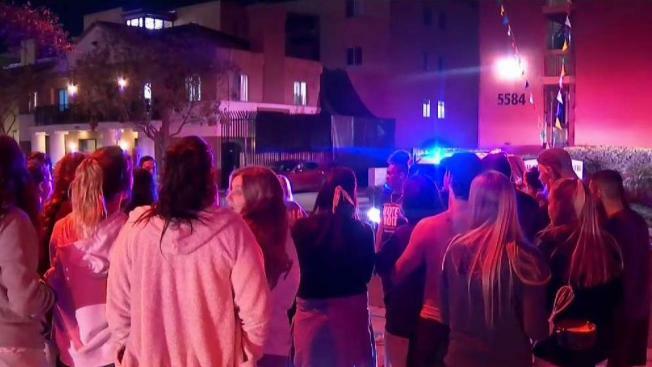 NBC 7's Ramon Galindo reports from the Granada Apartments near SDSU where a car fire broke out inside the garage, forcing the evacuation of the building. “I smelled it as the fire trucks came. We were on the track at a meet — smelled like smoke and plastic,” said SDSU student, Mackenzie Mora. Residents had to be evacuated. Another resident, Pierre Platet, realized that his car was only feet away from Saturday’s fire. News of the fires spread throughout campus, according to Mora. “I heard that people were setting doors on fire — that's when I, kind of, first heard about it, but I knew that there were fires happening,” she said. For every fire, UPD reported no injuries and said the fires were quickly put out or went out on their own. 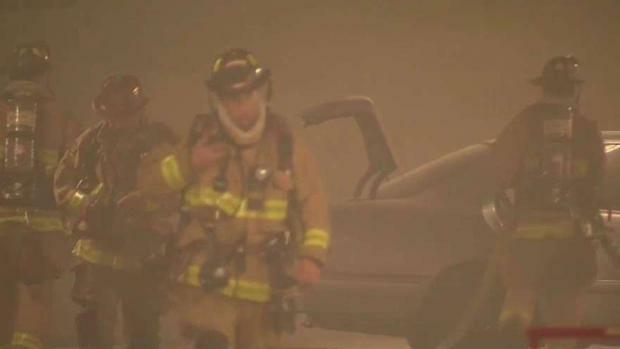 SDFD, MAST, and UPD said they were able to connect all four of the fires to the suspect and arrested her Saturday. While Delarosa was in custody, the fourth fire reignited Saturday on its own “as a result from the morning fire,” UPD said, and had to be extinguished again. There was a lot of smoke, but no damage to the building. The car was towed away with significant damage to the front windshield and hood. Residents were evacuated for the second time Saturday night. Delarosa’s bail was set at $300,000. UPD said a possible motive is still unclear and will continue to investigate the fires.